WS Retail is Flipkart’s official vendor who makes the most sales over Flipkart online shopping portal in India. Since WS Retail is the official seller, Flipkart forces its customers to shop products from their official seller to utilize the gift vouchers given by them. Also, Flipkart provides a free delivery option for WS Retail flipkart products in the cart which worth Rs.499 and above. 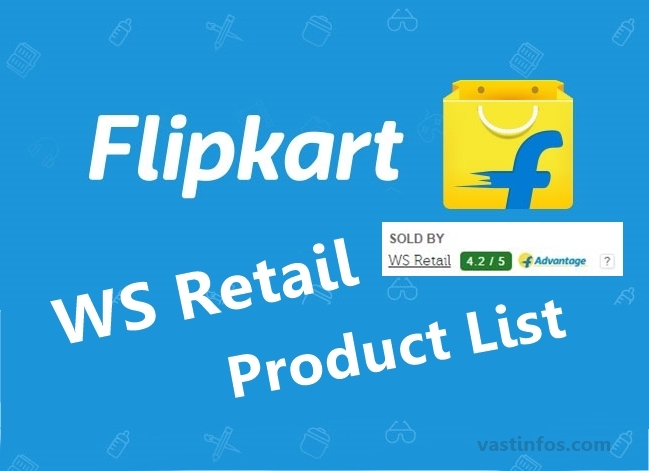 But Flipkart does n’t provide a seller filter option in the search filters and even there seller-specific product list pages which list out all products sold by that particular seller which are a common page on other e-commerce websites like Amazon,Ebay etc. Hence, it is a herculean task for common users to view every product page and examine whether the seller is WS Retail or not. So for easily reaching out to few WS Retail Flipkart products here we are listing out the product list based on their price ranges. You can make use of the above list of WS Retails products to easily grab your free delivery or to fully utilize your flipkart gift vouchers.